This Accelerated project builds on the achievements of the Catalyst project, by strengthening the water security strategy established in Dailekh district and scaling it up to four additional districts. It will aim to place a strong focus on drinking water security through source conservation practices and establishment of a centralized resource and training center. The project will broaden the scope of the REACH Catalyst project by strengthening activities to include source conservation, chlorination of piped supplies, and a systematic evaluation of water quality, user experience and health. The project will also extend the geographic focus of the water safety interventions from one to five districts. 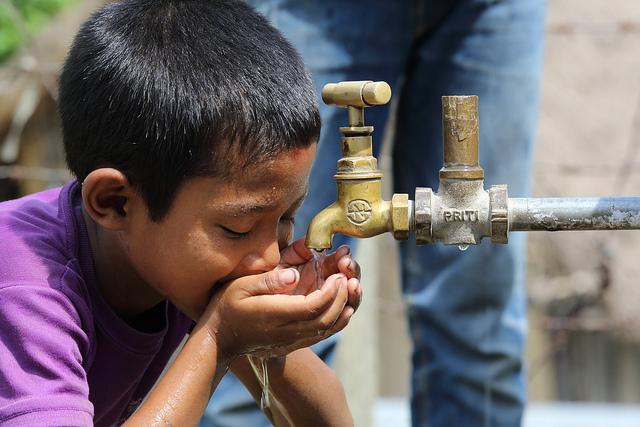 The goal of the project is to demonstrate an effective and viable approach to achieving drinking water security in remote areas of Nepal characterised by subsistence livelihoods and low access to basic services. This project is one of five Accelerated Projects funded through our Partnership Funding. Robinson, D. T., Schertenleib, A., Kunwar, B.M., Shrestha, R., Bhatta, M., and Marks, S. J. (2018) Assessing the Impact of a Risk-Based Intervention on Piped Water Quality in Rural Communities: The Case of Mid-Western Nepal. International Journal of Environmental Research and Public Health, 15(8), 1616.